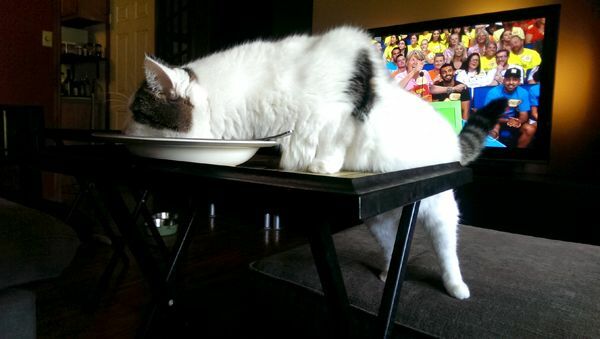 Olivia, the most food-aggressive cat who has ever lived, licking out my salad bowl after dinner last night. I couldn't even stop her, because I was laughing too hard at the lengths to which she'll go and the contortions into which she'll put herself to get the tiniest bit of food. Cat food, dog food, people food. Nothing can deter her. Nothing.